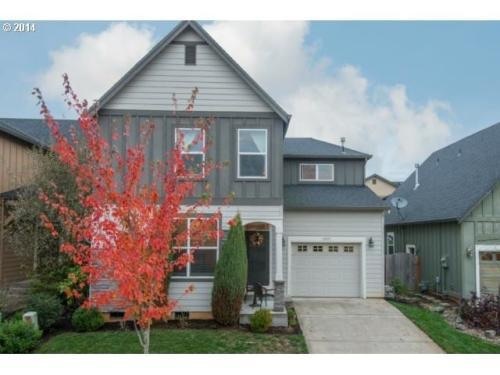 Newer home with HUGE bedrooms! 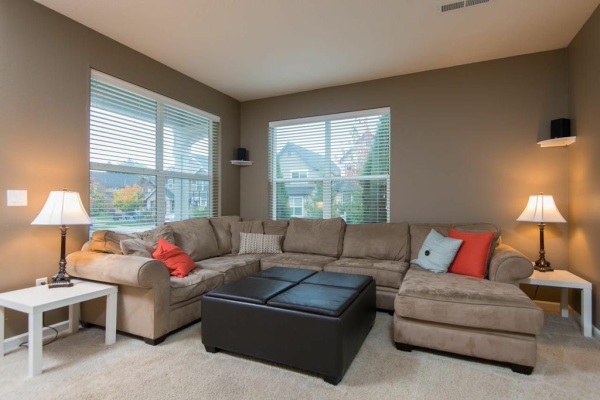 Perfect newer three bedroom home with huge bedrooms. 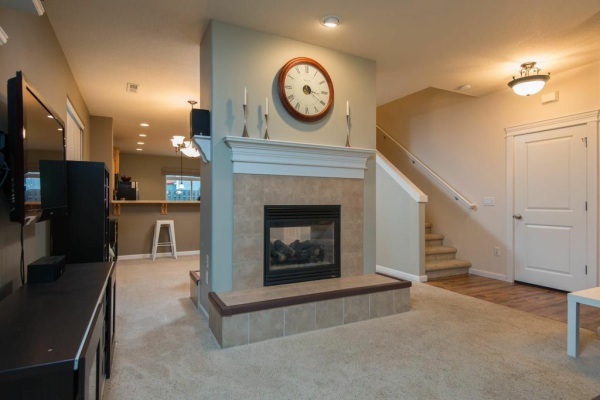 The home features a large living room with see through gas fireplace. 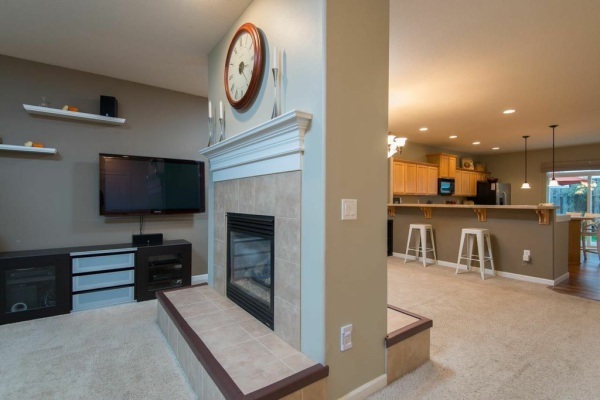 The other side of the fireplace is a dining room with space for a large table. There is a breakfast bar area perfect for bar stools. 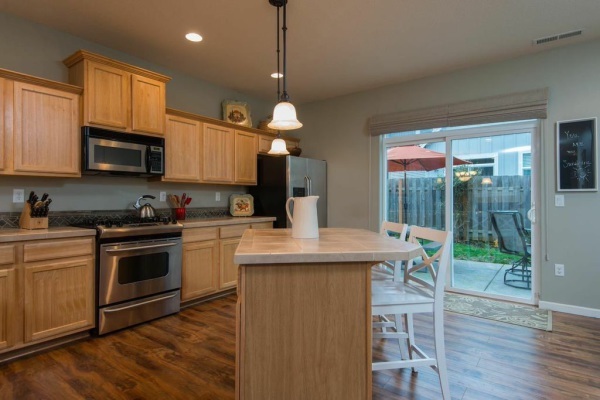 The kitchen has an island with room for more bar stools, tile counter tops, gas range and all stainless steel appliances. 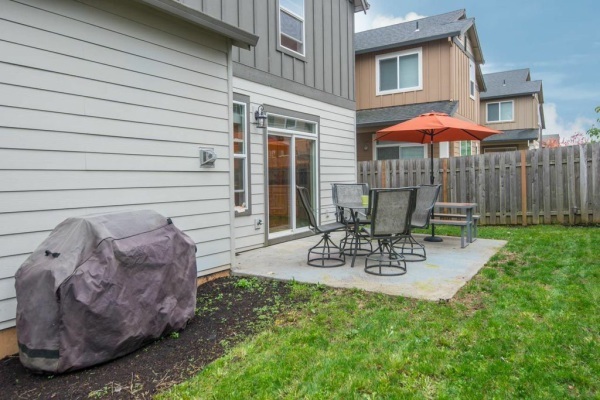 There is an eat in nook for a small table near the sliding glass door that opens to your patio and backyard. 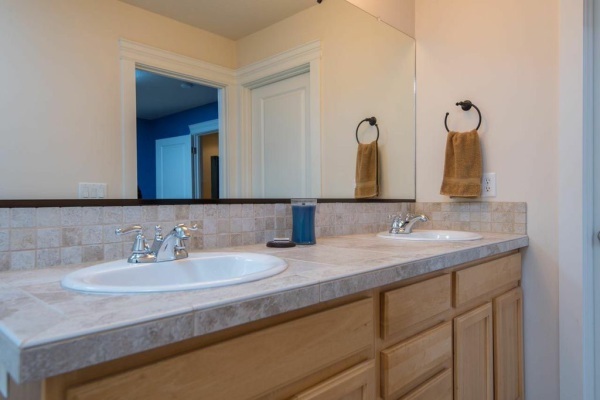 A half bath is also on this level. 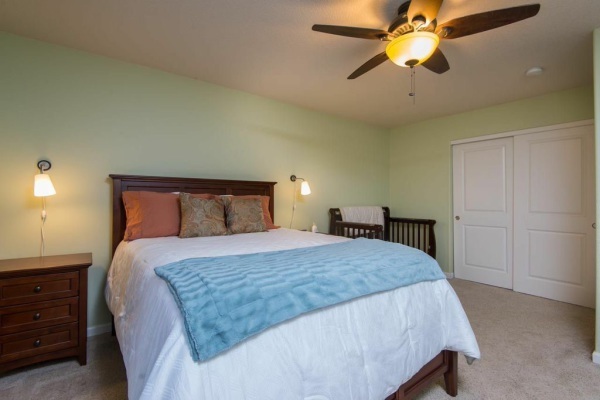 The master bedroom has a ceiling fan, custom paint color and an attached bathroom with walk in closet and double sinks. 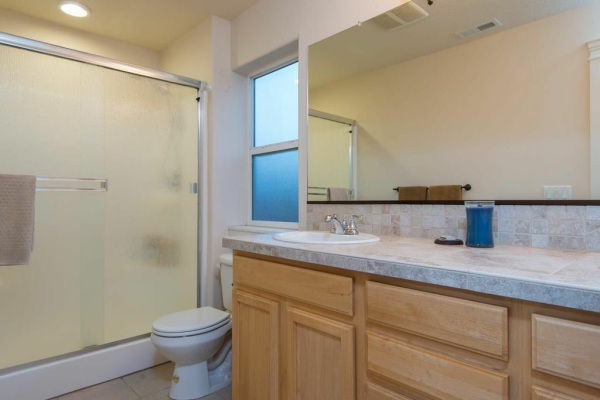 The two other bedrooms are connected through another large bathroom with bathtub/shower combo and double sinks. 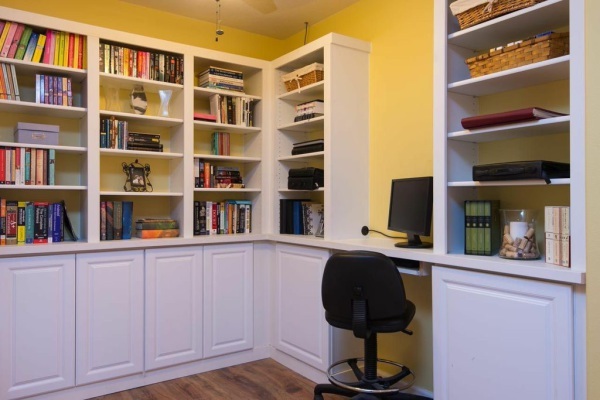 There is an open area upstairs with built-ins and a desk, perfect for a home office or study area. 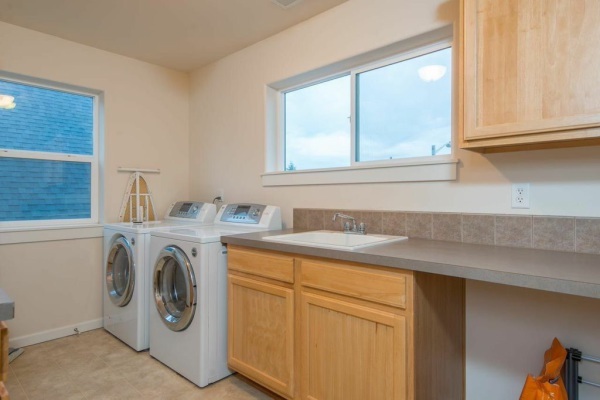 The laundry room with utility sink is on the upper level as well. There is a two car tandem garage. 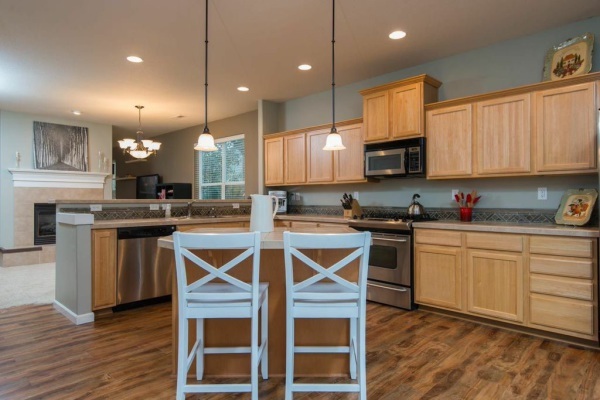 This home lives large and is not to be missed!